McALLEN — U.S. Customs and Border Protection announced Thursday that construction of 13 miles of “levee wall” fencing would begin as early as today, according to a news release. The construction, which is part of CBP’s partnership with the U.S. Army Corps of Engineers, will take place in the “McAllen station area of responsibility,” specifically west of Green Road near the Mission main canal and signed with the existing U.S. International Boundary and Water Commission levee. The construction is the continuation of clearing out land that began in early February near, but not on Bentsen-Rio Grande Valley State Park land, the release stated. “CBP will proceed with construction as real estate becomes available within this project area. Based on language in the fiscal year 2019 CBP appropriation, levee wall construction will not take place at Bentsen state park or the National Butterfly Center,” the release stated. Last October, the Army Corps of Engineers awarded SLSCO Ltd a $145 million contract to construct about 6 miles of levee wall system, and a month later it was awarded an additional $167 million for another 8 miles of levee wall system in Alamo, Donna, Weslaco, Progreso and Mercedes. 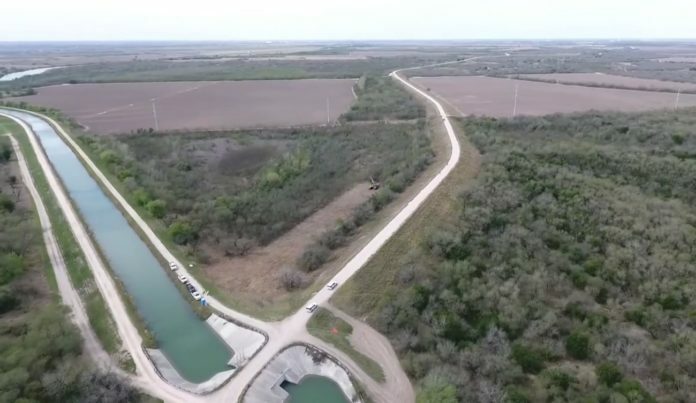 “The levee wall system will be very similar to levee wall constructed in the RGV area during 2008, but the system will also include all-weather roads, lighting, enforcement cameras and other related technology,” the news release stated.